S.A. Microprocessor Group Inc. | Symbiosis between electronics and innovation. PLEASE REFRESH YOUR BROWSER (F5) TO BE SURE YOU ARE GETTING THE LATEST NEWS ! Meetings are held at the WEA “Cottage B” 223 Angas St Adelaide on the second Friday of each month starting at 7:30pm. Display location. Peter to overview the ESP8266/ESP32. Are there benefits going to this fabless designed SOC from our trusty mate ATmega328p? This month’s meeting advanced our revised constitution incorporating changes suggested by members where there was a need for improvement. A revised version will be distributed for final consideration very soon. Banking details have been sorted out to make them more relevant for our requirements. Peter Gheude overviewed the reasons why clubs become incorporated and need for a constitution. It was also mentioned clubs should review their constitutions yearly to ensure they are relevant against any Government changes within the Act. There were no outspoken objections to us updating our own constitution (rules) relating to the operation of our club. The use of full names on our website was brought up as a concern by a member. This concern was focused on identity theft by unsavory individuals who come across a person’s name and then make systematic efforts to steal their identity. It is expected a vote will occur at next month’s meeting (for a majority to rule) to sort this out. Wayne S has stepped up to the challenge of contributing SAMG website maintenance and editing. His offer was accepted with lots of gratitude by everyone present. Dave Z and Phil K relayed their experiences in New Zealand and the Linux convention. It appears there was a lot going on and they were spoilt for choice in topics of interest, they had to choose specific topics at possibly the expense of others. We are hoping they can share more information as time goes on. 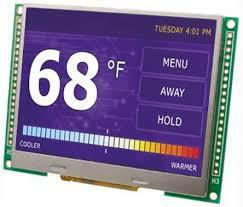 Chris B demonstrated his TFT LCD projects. It seems one can leverage off CAD images to import into the relevant files to display on the LCD screen. A very informative and educational presentation. Cliff Shirra demonstrated the dimming capability of a high-powered COB LED using PWM. His computer code was briefly examined. Unfortunately the potentiometer wires had broken off during transport, and if we are fortunate, Cliff may salvage his reputation by demonstrating it actually working at our next meeting! Concerns have been brought up about the proposed constitution regarding wording and meaning and banking. Peter G and Cliff S will overview these concerns. It should be noted that a constitution should be reviewed yearly based on any Government changes to the Act. A general and ordered discussion on what our real concerns are regarding a revamp of our existing 40 year constitution. It is expected that 30 minutes will be adequate. The approval for the continued use of full names on the home page (and others) in our website. A volunteer to take (immediately or over time) the web editing duties for the club. Dave Z and Phil K will do a presentation about their Christchurch (New Zealand) visit and the Linux convention. Cliff (time permitting) will present the next stage of his ongoing project. This will include high powered LED COB’s and pulse width modulation – PWM. A working example and code will be produced. The meeting started on a rather sombre (somber) note as we visited Eric Clarke’s history and contribution to the club. He was remembered with some fondness. Rick M gave a most detailed and insightful view of Eric’s dedication to the SAMG. We will miss him. Our annual general meeting was then held. Committee members were elected and all the other stuff that goes with the AGM. I won’t take up space here as the meeting minutes will be posted on our website. Our constitution was revisited (again). Some progress was made. A big question hangs over this important club document regarding finances. Australia is heading away from cheques so we must progress with the times. Peter G and Cliff S will go the bank and see what electronic means may be optioned for easier banking. We only managed a single presentation. Darren gave a sterling one on his Commodore reproduction badges and a couple of devices he has produced to test the power supplies of these rather old computers. Very impressive. A brief recap of Eric Clarke’s past association with the SAMG (he was laid to rest at 11.00am on the 22/01/2018). Anyone wishing to contribute to this is most welcome. 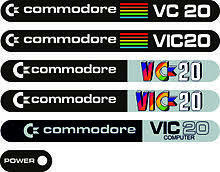 Darren will do a presentation on his repro Commodore badging. Colin will do a presentation on various aspects of our fabulous NBN. Chris will demonstrate what he has done with his TFT LCD (Cliff is probably going to be shamed!). Possible firming up of our future project/s. The group all pondered new projects that could be undertaken over the next couple of months. Several suggestions were put forward. Wayne suggested the simple control of a stepper motor via a joystick. 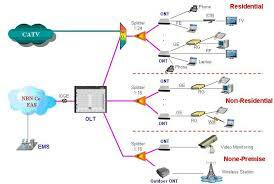 This would demonstrate the concept of analogue to digital control. Cliff did a short demonstration of mapping characters to the TFT LCD screen. He has mentioned (again) the code will be put on our website. The concept of diodes for reverse polarity protection was discussed. Rick, and others, suggested it would be better to use FET’s instead as they have lower on resistance and lower revers current flow. Cliff has decided that the use of a p-channel MOSFET in his project is the better and more robust solution. 1 resistor and 1 zener diode along with the MOSFET should satisfy his project needs. Peter demonstrated how the PINE64 can write to a port pin to flash it on and off. Peter implemented a “script” that flashed the SOS message via the LED. More tuition is required in the LINUX environment which hopefully will be done by some of our members. Our component tester project can be wrapped up. A few of our members contributions has finally paid off. We examined the code for the tester and “turned on” the ability for Zener testing as well. 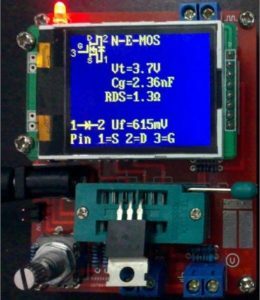 Peter sourced a DC pump that boosted the 9 volts to 50 volts so a larger range of Zener diodes can be tested. Group discussion on a new (yes a new) electronic project that people may be interested in doing. The aim is to select something that people would be really interested in completing based on cost, amount of time to complete and usefulness. Hopefully a micro-controller will be considered. Possibly we should consider the ESP8266, ESP32 that has bluetooth, wireless etc. Also there will be a discussion on the use of diodes to protect circuits against reverse polarity connections. Further discussion and examination on our component tester project.